Home > Blog > Is Your Healthy Routine Hindering Your Weight Loss? The key to successful, sustainable weight loss is developing healthy habits that you commit to each every morning, day-in and day-out… right? This hardline strategy works for some people, but others find themselves plateauing or feeling deprived after a few months, and inevitably abandoning their efforts. So, is there a way to break up the monotony and still lose weight? YES, thankfully! Research shows that mixing-up your routine to vary intake and exercises boosts short- and long-term results. More specifically, practices like calorie cycling (increasing and decreasing calories periodically) and cross training (incorporating different exercises into your weekly routine) speed weight loss. Keep reading to learn about why mixing-up your healthy routine boosts weight loss with phentermine! When you’re working hard to makeover your lifestyle, it’s easy to get stuck in a rut. Many times, a little variety is all you need to bolster your motivation and stay committed! At the start of any weight loss journey, it’s common to scour Google or Pinterest for some much-needed guidance. We search for recipes, meal plans, daily routines, workout plans and more – all in hopes of finding a pre-made schedule that will lead to that desired weight loss. This is a great strategy if you’re not sure where to start and need a roadmap for a couple of weeks. It’s also supremely helpful for finding specific tips, like what to eat on phentermine or exercises to strengthen your core. However, it’s not realistic to follow that same routine, or make those same six healthy meals, for the rest of your life. Hopefully you all pick option number three!! Healthy living should be something you enjoy. Eating well, staying active and losing weight help you feel better – emotionally and physically. If you’re not enjoying it, at least in a general sense, it’s time to make a change. Adding a little variety to your daily routine is a great way to make weight loss a lot more agreeable and successful! In that spirit, here are a couple of ways to mix-up your daily routine and achieve sustainable weight loss, and get healthier long-term, without feeling bored or deprived! Calorie cycling, also called calorie shifting, is a “non-diet” diet plan that involves fluctuating your goal calories from day-to-day. This regular variation helps keep your metabolism active, and evidence indicates that it helps you stick to your new, healthy lifestyle for longer. In the two-week calorie shifting diet, you eat a lower number of calories for eleven days and then “refeed” by eating a higher number of calories for three days. The one-month cycle is similar, but you eat the lower number of calories for three weeks and then the higher number for about a week. The rolling average approach to calorie cycling involves eating higher and lower numbers of calories on daily basis, and then simply ensuring that your weekly calories average out to your daily calorie goal. For example, if you want to eat 1400 calories per day on average, you may eat: 1399 calories on Monday, 1605 calories on Tuesday, 1213 calories on Wednesday, etc. While you’re consuming significantly different amounts each day, the average intake remains at about 1400 calories per day. This third calorie shifting plan is the most natural way of eating, theoretically, but some people find it difficult to hit the weekly goal. Weight loss apps like MyFitnessPal, LoseIt or Fitbit make this method much easier as long as you’re diligent about logging all of your meals and snacks. Calorie Shifting Diet vs. Intermittent Fasting: What’s the difference? If you’re familiar with intermittent fasting, these cycles of alternating intake probably seem very familiar. So, are calorie cycling and intermittent fasting the same thing? No. While calorie shifting plans entail varying intake by 300-500 calories on any given day, most participants consistently still eat at least 1200-1500 calories on most days (depending on their individual goals). There are no restrictions on when or what to eat with calorie cycling. Intermittent fasting (IF), on the other hand, involves severely restricting intake for extended periods of time. As a result, IF devotees often eat very few calories on 2-3 days per week. Unlike calorie cycling, which increases dieters’ long-term adherence to healthy eating, intermittent fasting remains hard to sustain. Therefore, it is not advisable to combine phentermine and intermittent fasting. If you seek for weight loss advice from doctor, dietitian or even the internet, it’s practically guaranteed that you’ll be given a daily calorie goal. You will be told to eat this set number of calories (or a little less) each day. After all, weight loss is all about the math: consume 500 calories less than you burn for one week’s time and you’ll lose one pound. Still, it becomes onerous to stay under this calorie limit each and every day for extended periods of time. More, weight loss tends to plateau after months of following this same routine. That’s where calorie cycling comes in. Traditional diets fail because they’re a short-term solution to a long-term problem. When you think of a diet or exercise regimen as temporary, the weight loss tends to be temporary as well. Did you know that about 80% of people that lose weight eventually gain it back, most often within two years? This is because if you restrict for 12 weeks, but then go back to eating as you were eating before, your body will also return to the weight it was before. The solution? Find a “diet” that you can stick to long-term. Calorie cycling is a plan that’s easier to adopt permanently. It’s not realistic to expect that you’ll eat precisely 1700 calories every day for the rest of your life. It is, however, fathomable that you could eat somewhere between 1200-2200 calories on most days, even for years to come. The trick is balancing it out to make sure you’re average is staying around your goal! In a 2014 study, Davoodi et. al compared the effects of a calorie-restrictive diet with a calorie shifting diet in 74 overweight subjects. During the one-month study period, and subsequent one-month observation period, both groups lost significant weight and body fat. Interestingly, however, calorie-restricted dieters experienced a metabolic slowdown while those on the calorie shifting diet maintained their higher metabolic rates. One of the main reasons dieters plateau, and eventually regain weight, is because of metabolic slow down so this is an exciting discovery! Cholesterol, triglycerides, and blood glucose levels also improved significantly more amongst the calorie shifting group. In addition to these medical benefits, dietary adherence (the percentage of people who stuck to the diet) was also better in the calorie cycling group. If you eat intuitively by listening carefully to your body’s natural cues, it’s likely that your intake will vary on a day-to-day basis. For this reason, learning to adopt a healthy, calorie shifting may be beneficial for both weight loss and weight maintenance. More, our ancestors most likely followed a calorie shifting diet due to variable food availability. This may explain why our bodies respond so well to this eating plan. The main drawback to a calorie shifting diet plan is that it requires very careful calorie-tracking, at least in the beginning. It’s important to track intake meticulously to ensure that, despite variations, your average remains close to the goal. Tracking is also critical to ensure that you’re eating enough on low days and not over-indulging on high days. Most of us have a favorite sport or workout. Whether you’re brand new to exercise, coming back after a long break (or injury), or a seasoned athlete, I’d bet you thought of a specific activity when you read that first sentence. No matter if you’re a jogger, swimmer, yogi, hiker, dancer or skater, it’s important to incorporate other types of exercise as well! Cross training is the practice of incorporating diverse, complementary workouts into your fitness routine. Everyone from professional athletes to recreational exercisers can benefit from proper cross training as a way to increase fitness and flexibility. Proper cross training reduces injury by working different muscle groups and using joints in different ways. A strong core, for example, takes some of the stress of your most-worked peripheral muscles. This helps decrease the risk of fatigue-related injury in sport and everyday life. If you’re taking phentermine, one of the most relevant benefits of cross training is that it speeds-up weight loss! If you do the same workout every day, your muscles and movements get more efficient over time. This is great if you’re competing and trying to get faster, but it’s not exactly beneficial for weight loss. After all, greater efficiency means fewer calories burned per minute. To keep torching away extra calories, switch up your workouts. Choose sports or classes that use different muscles and movements to maximize your fat burn! Cross training challenges different muscle groups, so it improves overall fitness. Have you ever thought you were in great shape, maybe from the elliptical, and then jumped in the pool and struggled to reach the other end? Our muscles grow accustomed to the motions we repeatedly practice, so it’s important to cross train so that you can develop different types of fitness. Another major benefit of cross training is that it reduces burnout. Consistency is key when it comes to physical activity, so it’s important that you enjoy and prioritize your workouts. If you’re getting bored of your go-to sport, start incorporating some regular cross-training to mix things up. What do you think? 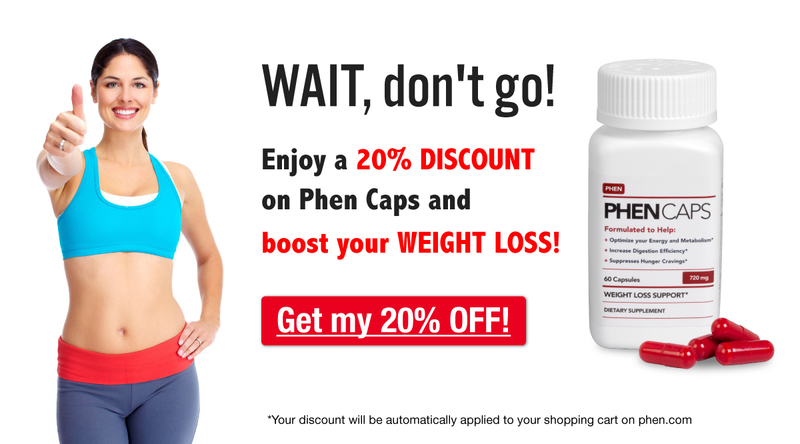 It is better to stick with a rigid routine or mix it up a little to lose weight with phentermine? Share your thoughts with us in the comments section below!